As the premiere Chicago based home restoration provider, A-Emergency Services & Restoration is available to help you repair and restore your home following recent damage. Whether you have experienced a storm, fire or flood, our team of dedicated professionals are always here to put your family first and offer them the protection that they deserve. Fully understanding that unforeseen damages caused by fire, smoke, soot, mold, wind and water can negatively affect your daily schedule and your lifestyle, we guarantee to work both efficiently and effectively. Providing each one of our individual customers with a personalized emergency response service plan, the technicians at A-Emergency Services and Restoration are always just a quick phone call away. No job is too small or too large. We have the ability to assist in all aspects of property damage from a broken window to restoring an entire home from the ground up. Taking our motto seriously, we live by our commitment to provide fast, reliable emergency service and restoration for all property owners. We have been in business for more than 10 years, so we can completely relate to any specific situation that you are currently experiencing. In fact, our entire reputation has been developed solely on our ability to provide exceptional reliability and results. Each one of our customers is given the perfect blend of care, professionalism and dedication, and we guarantee to provide you with our industry leading services. Not only do we respond 24/7 to a crisis situation in the Chicago area, but we will communicate with your insurance carrier regarding your property damage and losses. Call today: 773-529-6700 or click here to contact us. Unfortunately, many homes are faced with unexpected events that are caused by fire and smoke. If you find that your home has experienced fire damage or smoke damage, we can absolutely help. First, call us as soon as possible at 773-529-6700 so we can board up any exposed areas and start the cleanup process. 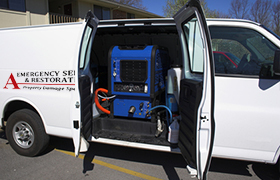 By utilizing specialized restoration products, we are able to eliminate smoke or soot stains that have been generated from smoke damage or a fire. Our highly trained staff in disaster restoration services has the expertise to perform property damage appraisals and work with insurance claim assessments. 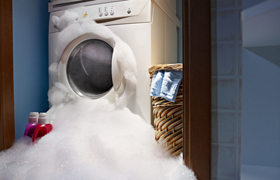 Quite possibly, water damage is the most common type of property damage that you will ever encounter. In order for us to completely help you recover from this issue, our restoration team will develop a specific plan to ensure all of the water is immediately removed from your home. In addition, we will be able to completely extract all of the moisture build up that has been stored in your floors and walls by implementing an innovative drying process. Call today: 773-529-6700.